Operation: DAEDALUS is a go! 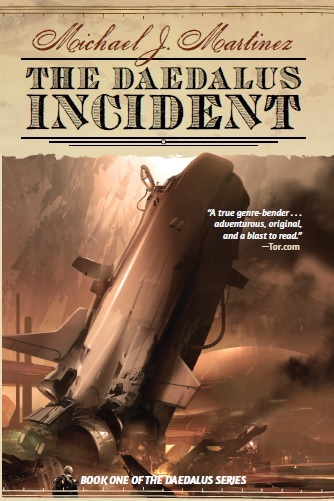 Spread the word about The Daedalus Incident and win books! The Daedalus trilogy is coming out in paperback, which is awesome on so many levels. For me, it’s really about reaching new readers who may not have had a chance to climb on board yet. And to do that — I’m going to ask for your help. Yes, you. Stop looking around. Really. You. See, chances are that if you’re reading this, you’ve already enjoyed the books and that’s very gratifying for me. But there’s still folks out there who could use a kick in the pants to get in on the fun. And that’s where you come in. I’m calling it Operation: DAEDALUS. I know. I couldn’t resist a bit of theater. Here’s how it works. The Daedalus Incident comes out in paperback on March 15. I’m hereby asking you to tell folks about the book and this auspicious event by leaving reviews and posting to your social media. 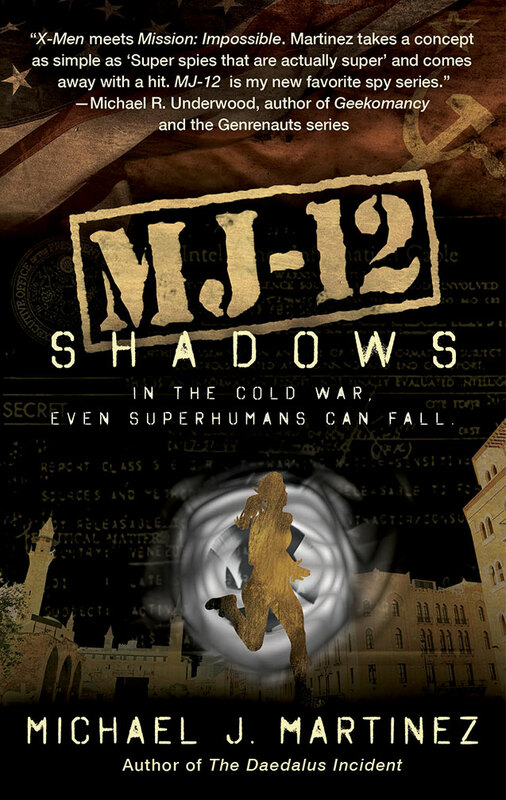 Each time you do that, you’re entered into a drawing to win not only a signed copy of The Daedalus Incident in paperback, but also a signed advance reader copy (ARC) of MJ-12: Inception when they’re made available to me later this spring. The more you post, the greater your chance to win both books. There’s a tl;dr summary below if you want to skip the minutia, which now follows. So what qualifies for an entry? Reviews. 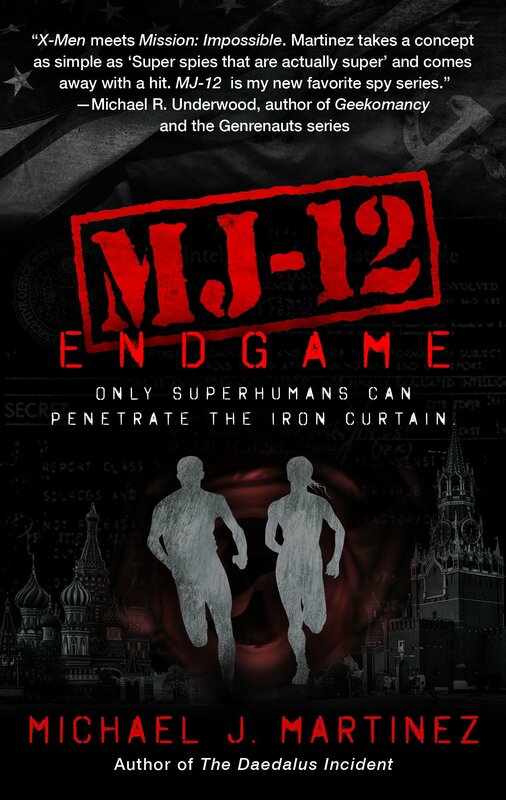 I would love it if you added your reviews of the book on Amazon, Barnes & Noble, Kobo, iTunes, Google Play, Books-A-Million, indie booksellers’ sites and, most especially, Goodreads and LibraryThing. Now, I’m asking for an honest review here. If you thought it was fun but worth just three stars out of five, do that. Feel free to quibble. (Now, if you thought it was a one- or two-star book…well, I suppose that’s fine, but I would then question why you’d want a signed copy. Just saying.) Reviews matter in aggregate, especially on Amazon, and I’d love to get some more going. Each review on each site is worth five entries because they take time to write, and I’m highly appreciative of it. And yes, if you write a review of The Daedalus Incident somewhere that’s linked to your Facebook and Twitter and whatnot, then…well, you’re a lovely person who just earned additional entries. Feel free to game my system as you like, but remember the 48-hour rule. I don’t want your social media friends and followers to grow to hate you for this. You can post more, but I’ll only count one every two days. That said, you can end up with a goodly number of entries if you’re persistent and have a lot of social media going. Note that if you’ve already written a review, I’m totally willing to give you credit for it. Just drop me an e-mail (which is here) and I’ll add it to your tally, but you’ll have to drop me that e-mail. Otherwise, I’ll only be looking at the Feb. 1-March 15 time-frame. No, you don’t get credit for old social media posts, sorry. Also, if there’s a platform you use for reviews or social media that I haven’t mentioned here, an e-mail will likewise help your cause. You have until March 15 to do all this. After that, I’m going to take a couple days to search the various social media platforms and review sites for your handiwork, and then tally it up. (Hence, it’s important to use “Daedalus Incident” in your posts so I can find them!) After that, the random-number-generator will do its magic, and I’ll contact the winner via said social media platform or review site. I admit, this is a little complex, so if you need clarification, drop a comment here and I’ll answer it. My advice is to not think about it too hard — just go out there, write reviews and spread the word, and I’ll let you know if you win. And this is just for The Daedalus Incident, by the way. I’ll do similar contests for the next two books as their launch dates approach, so yes, you’ll have two more shots on goal later on. tl;dr. The idea here is that if you liked The Daedalus Incident, please tell folks about it by leaving reviews and posting on social media! 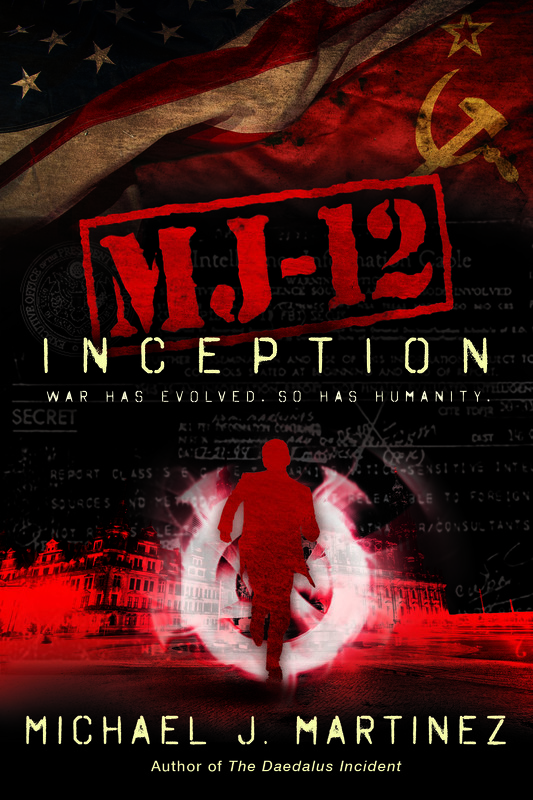 And if you’re lucky and/or prolific enough, you’ll get a signed paperback and become one of the first people to read MJ-12: Inception. That’s my big thank-you to you readers out there, because I wouldn’t be here without you. You’re awesome.